I made a plaster cast of a VW hubcap that I found in the junkyard. When the wax cast was still warm, I formed it into a bowl shape and dripped wax on the bottom for texture. I made a rubber mold of the finished wax, then made multiple castings both in bronze and aluminum. 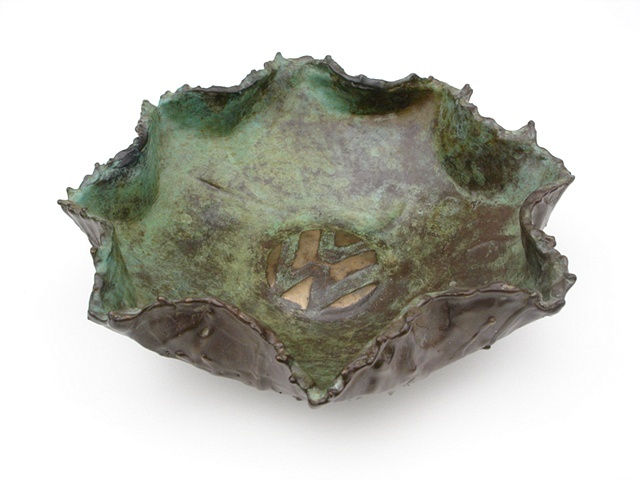 This Hub Bowl pictured here is a bronze cast with a cupric nitrate patina.